Taking the advice of a fellow American, I have been investing in extending our potential vineyard lands in Hungary. One of the interesting factors in this process has come from the historical small land ownership traditions in Hungary, further extenuated by both historical and more recent land partitioning under Goulash Communism. The end result of all this is that today the local existing land parcels are usually fairly small. Yet they maintain an impressive variety of sizes, shapes and land use characteristics. Ergo, we come to two properties recently purchased. I will call them simply Property 1 and Property 2. They are within a few hundred meters (yards) of each other, but are yet drastically different. Our first property to be managed. 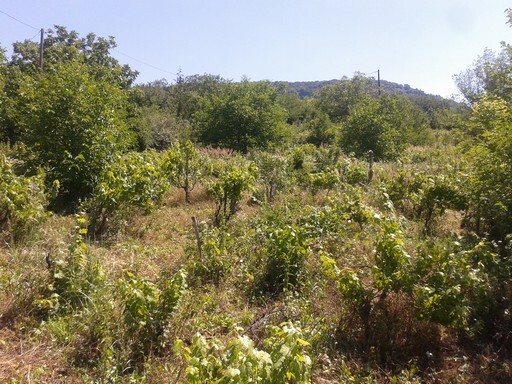 It was somewhat neglected in the past decade, with significant natural invasions of fruit, nut and oak trees. Property 2 is long (250 meters (820 feet)) and narrow (13 meters (42 feet)) and had a vineyard that was recently ripped out. 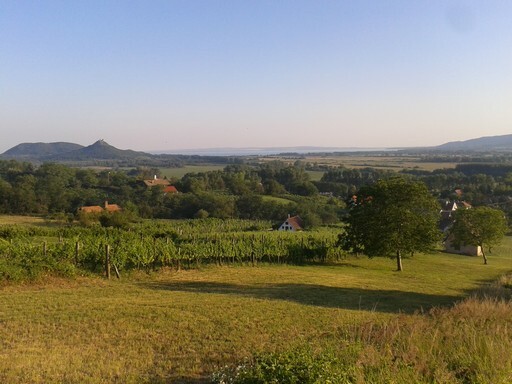 The view of Lake Balaton from the top of Property 2. As spring is coming, and the planting season for new wine is upon us, I will be chronicling the development of these sites in coming posts. 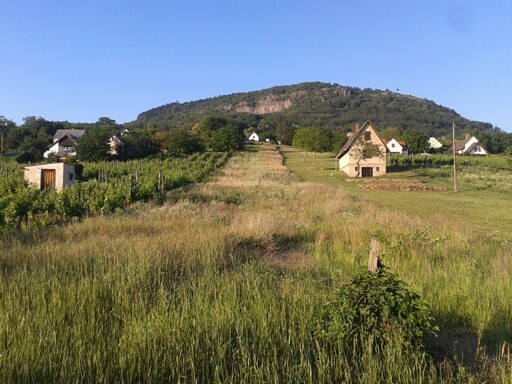 This will include the bureaucracy and paperwork needed to develop a vineyard in Hungary (and the EU), as well as the hands on work done to actually get the plants in the ground and growing to produce wine. And since this is a “vineyard and fruit/nut tree” region, I will be planting some trees as well. Subscribe to the blog, and join me in the adventure.